An independent, affirming and progressive congregation, Gentle Spirit Christian Church welcomes everyone without regard to ethnicity, color, creed, national origin, ancestry, marital/economic status, physical ability, political affiliation, age, sexual orientation or gender identity/expression. We are open, positive and inclusive. 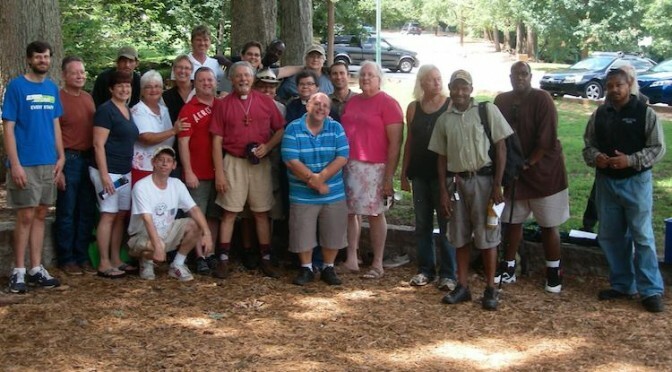 We invite you to join us at our weekly service, The Church Without Walls at 10:30 a.m. every Sunday in picnic Pavilion 2** in Atlanta’s Candler Park, where we meet for worship that includes a potluck picnic lunch. We know you’ll come away with God’s blessing… and a lot of new friends. ** Exceptions being in the event of extreme weather (when we move indoors to the chapel of First Christian Church of Decatur, Sundays when we perform our homeless ministry (usually in the same location as the regular Church Without Walls service), or when there is a festival in Candler Park (when we move to the edge of the park). In all of these cases, we post a special notice at the top of our homepage. In the event that another party has reserved picnic Pavilion 2, we can generally be found down the hill in Pavilion 1.